Gorgeous, right? 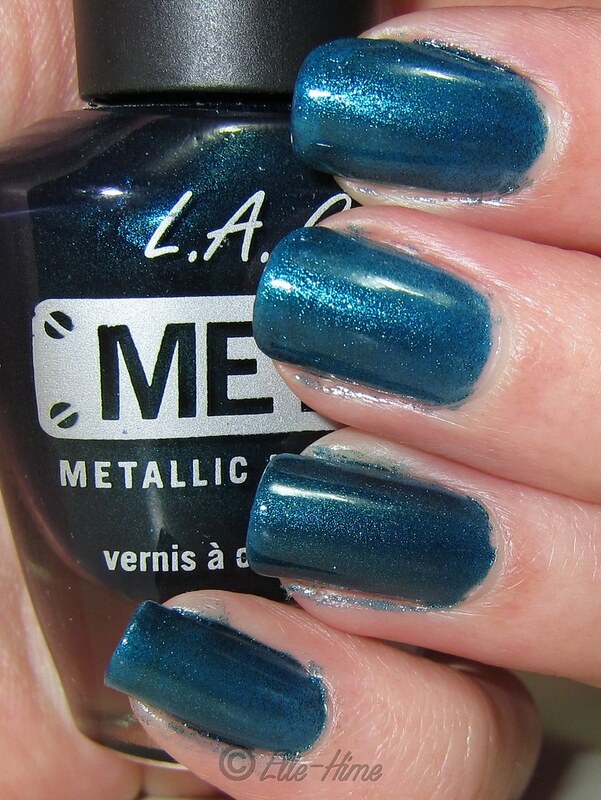 That is two coats of LA Girl Deep Sea Mica topped with one coat of Zoya Charla. There are a few more pictures after the jump, including Deep Sea Mica by itself. I was very fortunate to have some sunlight while I was taking these pictures - it helped to bring out the glass flecks in Charla. The glass flecks are more like micro flakies, actually. Vibrant green floating in a teal base. My nails had a blue tone to them usually but in low light they looked emerald green. They were constantly shifting and sparkling. Even my fiancé noticed them and said that he liked them! His opinion was that they were springy because of the glittery green and white flowers. I did really like the flowers. 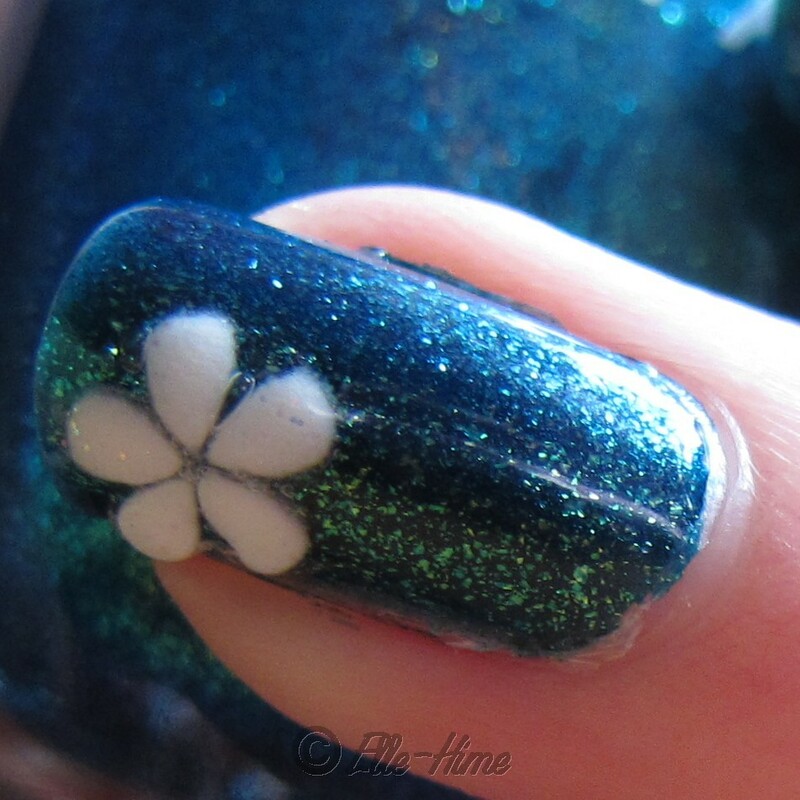 They are just peel-and-stick 3D nail art stickers that I got for cheap, but they work wonderfully! The nails with stickers got an extra helping of top coat and they wore like iron. But why didn't I love this more? Generally I adore anything "mermaid-y". 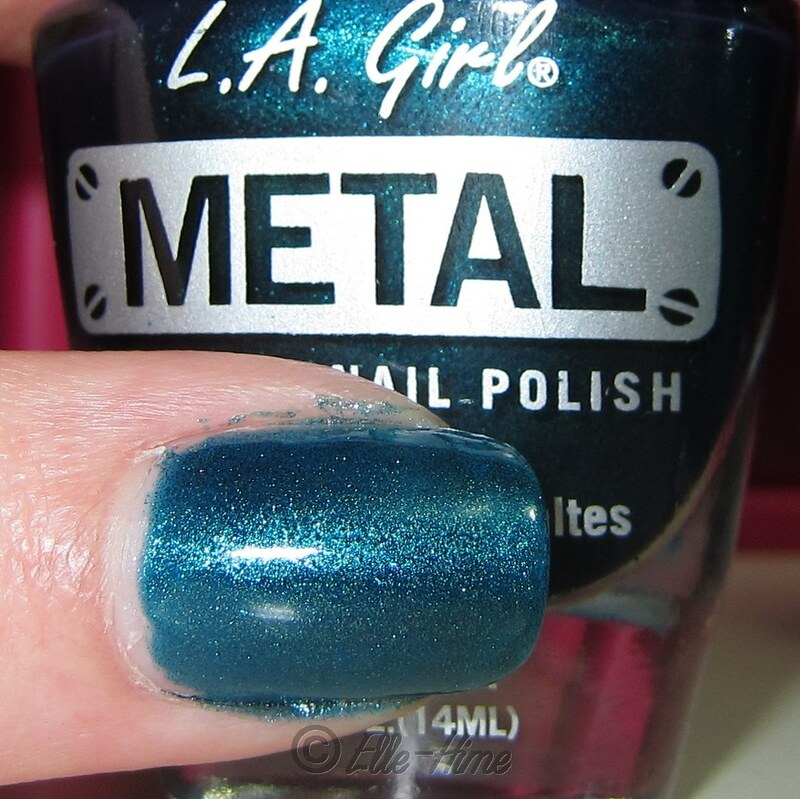 I will say that it sort of grew on me over a few days, so I'm not going to give up on Zoya Charla yet. Maybe it just wasn't the right week for me to be sporting green nails. Anyway, this was my manicure for the week. Still not really sure how I feel about it, but I think it's pretty?? I'd like to hear your thoughts. Have you ever had a polish that you knew was pretty but you just weren't into on you? What was it? Did you find a way to make it work? Thanks!